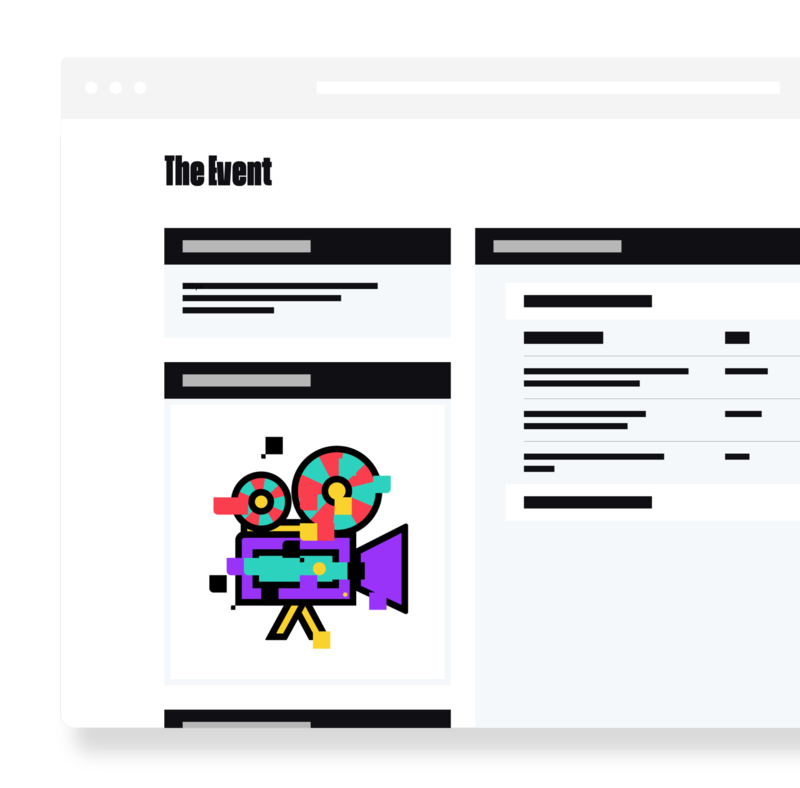 Weezevent is a specialist website offering clients (herein­after the “Parti­cipants”) the possib­ility of purchasing, directly via its websites, Tickets for Events organized by Event Organ­isers (herein­after the “Organ­isers”). Weezevent also markets a “cashless” solution with Organ­isers (herein­after the “Service”). This solution is neither a payment service nor a digital currency issuance or distri­bution service. These Standard Terms and Condi­tions governing Use of the Service (herein­after the “T’s & C’s of Use”) apply, without any restriction or reser­vation, to any use of the Service offered by Weezevent to Parti­cipants. The essential features of the Service are presented below and on Weezevent’s Website. Parti­cipants are required to famil­i­arize themselves with these T’s & C’s of Use before using the Service. Parti­cipants use the Service at their own risk. Weezevent’s contact details are as follows: Weezevent, a Société par Actions Simplifiée with capital of €72,212 having its registered office at 14 Rue de l’Est, Dijon (21000), registered with the Registre du Commerce et des Sociétés of Dijon under number 503 715 401, acting through its Chief Executive Officer. These T’s & C’s of Use apply to the exclusion of any other terms and condi­tions, in particular any terms and condi­tions that may have been presented by Organiser to the Parti­cipant. These T’s & C’s of Use can be viewed at any time on the Website, and prevail over any other version or any contra­dictory document. The Parti­cipant represents having read and under­stood these T’s & C’s of Use and having accepted them by checking the box provided for that purpose before making any use of the Service. These T’s & C’s of Use being subject to change, the version applicable to Parti­cipant is that in effect on the Website upon first use of the Service for a given Event. Parti­cipant represents having the necessary capacity to use the Service offered by Weezevent. Event Organ­isers have the possib­ility of organ­izing at the location(s) of their Event (herein­after the “Venue”) a “cashless” Service enabling Parti­cipants to load units of value on a tangible Device, before and during an Event, in order to be able to make purchases during the Event from Organiser and, where applicable, the latter’s partners, meaning from persons to whom Organiser has entrusted the management of one or more points of sale (herein­after the “Partners”). The Device shall constitute, as the case may be, the sole, the main or one of the means that can be used by Parti­cipants to make purchases at the different points of sale at the Venue, and is only usable with Organiser and its Partners, for a limited range of goods or services corres­ponding to a thematic offering, and only for the Event(s) organized by Organiser. The purpose of these T’s & C’s of Use is to define the respective rights and oblig­a­tions of Weezevent and of Parti­cipants in the framework of the imple­ment­ation and operation of the Service. The Device shall constitute, as the case may be, the sole, the main or one of the means that can be used by Parti­cipants to make purchases at the different points of sale at the Event Venue, such points of sale being managed by Organiser or the latter’s Partners. The Device may only be used with Organiser and only for the Event(s) organized by the latter. All purchases shall be made using a dedicated terminal. During the purchase trans­action, the Device will be directly debited by a number of units corres­ponding to the value of the purchase. If a Parti­cipant has set up a virtual account, the virtual account will track the trans­ac­tions recorded on the Device. The Devices will remain independent of the virtual account under all circum­stances, the latter being merely synchronized with the Devices to track movements. Parti­cipants who wish to credit their Device before an Event have the possib­ility of creating a personal space (herein­after the “Virtual Account”). To set up a Virtual Account, they should go to any commu­nic­ation media of Organiser that is compatible with the Service, in particular the Website(s) or the mobile applic­ation of the Event, and identify themselves using the number on their access pass, typically the barcode on the ticket (herein­after the “Access Pass”). The Virtual Account is personal to each Parti­cipant, who may only set up one Virtual Account with their ticket. The Participant’s Virtual Account may then be credited with funds, in the accepted currency, which are intended to be spent at the Venue. The amounts paid by Parti­cipants before the Event are collected directly by Weezevent in respect of the sale trans­action entered into between Parti­cipants and Weezevent pursuant to the provi­sions of Section 2–2 below and are deposited into an account opened in the name of Weezevent with a bank (herein­after the “Weezevent Account”). Payments made to the Weezevent Account by Parti­cipants can only be made online, Weezevent using all of the technology that can reasonably be used at this time to ensure the security of the trans­ac­tions via reputable operators. The trans­action data will be recorded in Participant’s Virtual Account located on a Weezevent server, each trans­action made by Parti­cipant being recorded immedi­ately. At the entrance to or within the Event Venue, upon present­ation of their Access Pass, each Parti­cipant having set up a Virtual Account before the Event will be given a device, typically but not always, a plastic card or a wristband, containing an NFC chip (herein­after the “Device”). A number of units corres­ponding to the amounts paid to Weezevent before the Event will be loaded on the Device. These units can be expressed in GBP or another unit of value chosen by Organiser. The Device is synchronized with the Virtual Account, which will record all debit and/or credit trans­ac­tions. This synchron­iz­ation will take place either in real-time or on a deferred basis depending on the telecom network access of the point-of-sale terminals. If so decided by Organiser, Weezevent may implement its cashless Service without having to use a Device via Participant’s smart­phone. If a Parti­cipant makes a purchase via his/her smart­phone, then Parti­cipant may not use the Device referred to in Section 1−2−1. Setting up a Virtual Account recording the trans­ac­tions made by Parti­cipant is a strict requirement to make purchases via a smart­phone. Also, if Parti­cipant decides to activate the Device, then Parti­cipant will no longer have the possib­ility of making purchases using his/her smart­phone. The “mobile” solution works in the same manner as described in Section 1–4 where the use of a Device is concerned: a Parti­cipant who decides to make a purchase will be required to scan the QR CODE displayed on his/her mobile to be able to proceed with his/her purchase, and his/her Virtual Account will be debited by the number of units corres­ponding to the purchase made. However, unlike the case of use of the Device, it is the Virtual Account which author­it­at­ively determines the number of units that can be or have been used by Parti­cipant. Accord­ingly, and specifically in case of network failure or absence of connection to the network of one of the terminals, a QR CODE may be used by a Parti­cipant more than once on an excep­tional basis, and may result in a Parti­cipant consuming more than the amounts effect­ively paid. Parti­cipant hereby authorizes Weezevent and/or Organiser to true-up the payment by debiting his/her bank account, in the excep­tional situation where Participant’s consumption exceeds the units purchased, in view of the technical constraints referred to above. Parti­cipants who have not set up a Virtual Account may make purchases at the Event Venue by obtaining a Device at one of the counters in the Venue provided for that purpose by Organiser. The Device will operate in a completely independent way. When a Device is provided to a Parti­cipant, units of value corres­ponding to the amounts paid by Parti­cipant to Organiser will be loaded on the Device, subject to the fees referred to in Sections 3–2 and 2–4 hereof. Organiser will have sole respons­ib­ility for collecting the amounts paid by Parti­cipant, Weezevent playing no role in the money remit­tance trans­action. Parti­cipants may top up their Device, either via Remote Top-Up, or via Counter Top-Up. The Device cannot contain a number of units in excess of the equivalent of £250. However, Organiser shall be free to provide for a lower maximum top-up capacity for the Device. A Counter Top-Up shall be made directly with Organiser at a counter present at the Event Venue, based on the payment method chosen by Organiser, typically by payment card, in cash or by check. Regardless of the top-up method used, the amounts paid by Parti­cipants are paid directly to Organiser, under its sole respons­ib­ility, without trans­iting through the Weezevent Account. A number of units corres­ponding to the top-up will be loaded on the Device. Parti­cipants who have set up a Virtual Account will be credited for the amount topped up. If Organiser has provided for this option and if internet access condi­tions so allow, Parti­cipants may top-up the Device online, by using their smart­phone for example, and credit the desired number of units by using their bank payment card or any other means of payment authorized by Organiser. A Remote Top-Up requires Parti­cipant to have set up a Virtual Account under the same condi­tions as indicated in Section 1–2 above. Similarly, if Organiser has provided for this option and if Parti­cipant chooses this option, an automatic online top-up system will permit Parti­cipant to credit his/her account automat­ically by a predefined amount once the number of units in his/her account fall below a previ­ously defined threshold. The top-up agreed to by Parti­cipant will be effective once Participant’s bank has been queried, the credit only becoming effective once author­iz­ation has been received to debit Participant’s bank account. Parti­cipants who have set up a Virtual Account and have opted for the cashless solution via their smart­phone will only be able to make a Remote Top-Up. Parti­cipants will thus be able to credit their Virtual Account by making a transfer to the Weezevent Account under the condi­tions set forth in Section 1–2 above. The Virtual Account will track this top-up operation. Organ­isers have the possib­ility of agreeing with Weezevent on a specific config­ur­ation of the Service. In particular, Organiser may eliminate certain features, introduce restric­tions or create new features. Accord­ingly, the description of the Service provided in Section 1 hereof is only intended to describe the general features of the Service. For the avoidance of doubt, the Service is configured by Organiser directly, with the result that Weezevent disclaims any and all liability for any config­ur­ation of the Service that may infringe applicable laws or regula­tions. Weezevent accord­ingly invites Parti­cipants to go to any commu­nic­ation media of Organiser, in particular the Website(s) or the mobile applic­ation of the Event, or to contact Organiser to find out more about the operation of the Service and any specific operating methods chosen by Organiser. In the context of use of the “cashless” solution imple­mented by Weezevent, sales of goods or services will be concluded either directly between Parti­cipant and Organiser or its Partners, or between Weezevent and Parti­cipant. In a Counter Top-Up context, the sales of goods or services are concluded at the time of the top-up between Parti­cipant and Organiser, the top-up operation mater­i­al­izing the agreement between Parti­cipant and Organiser as to the supply of the goods or services offered at the Venue by Organiser. Parti­cipant will thus pay the price of the goods or services to be consumed at the Event Venue before their delivery and/or supply by Organiser or one of its Partners. The choice of good or service previ­ously purchased and paid for by Parti­cipant to Organiser is made by Parti­cipant when visiting one of the points of sale in the Venue. It is at this time that Organiser will deliver the good or service chosen by Parti­cipant, provided that Parti­cipant has already paid the price of the good or service, in other words provided that Parti­cipant has enough units to carry out the trans­action. In a Counter Top-Up context, Weezevent shall remain extraneous to the sale of the good or service, this trans­action being directly made between Organiser and Parti­cipant. In a Remote Top-Up context or that of a top-up before an Event (herein­after “Online Top-Up”), regardless of whether Parti­cipant is using a Device or his/her smart­phone, a sales contract covering the goods or service available at the Venue is directly concluded between Parti­cipant and Weezevent, Weezevent acting as the vendor in that relationship. The top-up operation mater­i­alizes the agreement between Weezevent and Parti­cipant as to the supply by Weezevent, or any person substi­tuted for it, of the goods or services offered at the Venue. By making a top-up, Parti­cipant pays Weezevent the price of such goods or services before their delivery at the points of sale provided for that purpose. When a Parti­cipant visits one of the points of sale at the Venue and orders a good or a service, Weezevent assigns to Organiser its status as a contracting party and all of the rights and oblig­a­tions arising under the sales contract binding it with Parti­cipant. Accord­ingly, Parti­cipant hereby expressly consents to the assignment by Weezevent to Organiser of the sales contract or service contract between Weezevent and Parti­cipant in an Online Top-Up context. To that effect, it is hereby expressly acknow­ledged that, prior to the conclusion hereof, Organiser has consented to be substi­tuted for Weezevent in the rights and oblig­a­tions arising from the sales contracts entered into between Weezevent and Parti­cipants in an Online Top-Up context. As stated above, Weezevent disclaims any and all liability in connection with the sales contracts entered into with Parti­cipants, such contracts being concluded between Organiser and Parti­cipants in a Counter Top-Up context, or else with Weezevent in an Online Top-Up context. In this last context, Weezevent shall assign its status as the vendor to Organiser, which shall perform the contracts in its own name and on its own behalf. Accord­ingly, it is expressly agreed and accepted by Parti­cipant that Organiser shall assume full respons­ib­ility and liability in connection with the performance of such contracts (oblig­a­tions pertaining to safety, compliance, hidden defects, defective products, etc. ), Weezevent only acting at law as the contracting party on a temporary basis to enable Remote Top-Ups, without performance of the contracts by it ever having been intended. The goods and service purchased by Parti­cipant are provided at the applicable pricing at the Event Venue decided by Organiser and/or its Partners. These prices do not include any possible activ­ation, top-up or refund fees, which are decided by Organiser and deductible from the number of units purchased. The payment requested from Parti­cipant corres­ponds to the total cost of the purchase, any such fees being included. The Device shall constitute, as the case may be, the sole, the main or one of the means that can be used to make purchases from Organiser at the Event Venue. Subject to excep­tions, the Devices are handed over to Parti­cipants at the Event location. Unless otherwise decided by Organiser, they shall remain the sole and exclusive property of Organiser. Parti­cipants shall, upon being handed over the Device, check that it works corrects and inform Organiser of any malfunction as promptly as possible, to enable it to replace any defective Device. Parti­cipants are responsible for the safekeeping of the Devices during the entire Event. In that aim, Parti­cipants shall use the Devices as per the instruc­tions given to them to avoid damaging them. In case of loss of a Device by a Parti­cipant, Weezevent shall be under no duty to refund Organiser or Parti­cipant. However, if Parti­cipant has set up a Virtual Account, and if requested by Organiser, it may be possible to provide Parti­cipant a second Device containing the same number of units as the previ­ously deactivated first Device. To deactivate the first Device, the latter must first come into contact with a terminal that is connected to the internet to be deactivated. This being the case, between the time the Device is lost and is effect­ively blocked, units may be debited from it, in particular in case of fraud­ulent use of the lost Device. The second Device will only be credited with the balance of the units available on the first chip at the time it was effect­ively blocked. The Devices not working with a password or a PIN code, Parti­cipants remain fully responsible in case of loss or theft of their Device and in particular fraud­ulent use by a third party. Weezevent accord­ingly disclaims any and all liability in case of fraud­ulent use of a Device by an unauthorized person. In case of theft or loss, Parti­cipants are invited to immedi­ately inform Organiser in view of deactiv­ating the Device. Benefit of the “cashless” solution enabling all concerned to avoid the pitfalls associated with many people being gathered together (cash register errors, loss of means of payment, online monit­oring of consumption, etc.). Similarly, Organiser may seek the applic­ation of a refund fee to be deducted from the amounts to be returned to Parti­cipant after the Event, such refund entailing the imple­ment­ation of signi­ficant human and technical resources. The decision to charge such fees (activ­ation and refund) is made by Organiser under its sole respons­ib­ility. For the avoidance of doubt, it is specified that Weezevent does not collect these fees. Accord­ingly, Parti­cipant irrevocably waives any remedy against SAS Weezevent based on the invoicing or repayment of such fees. Parti­cipant is responsible for the safekeeping of his/her smart­phone and Weezevent disclaims any and all liability for any fraud­ulent use made of a smart­phone by an unauthorized person. In case of loss of his/her smart­phone by a Parti­cipant, Weezevent shall be under no duty to refund Organiser or Parti­cipant. Use of the “cashless” solution via Participant’s smart­phone may not result in the latter holding a number of units in excess of the equivalent of £250. However, Organiser shall be free to agree with Weezevent on a lower maximum top-up capacity for the Devices. As in the case of use of the Devices, Organiser may ask Weezevent to apply an activ­ation fee to the use of the solution via Participant’s smart­phone. This fee will not be refundable following the Event. The activ­ation fee charged by Organiser to Parti­cipant is deducted from the amount of the units of value that may consumed at the Venue and corres­ponds to Organiser’s reinvoicing for the different services offered to Parti­cipants, specifically the benefit of the “cashless” solution enabling all concerned to avoid the pitfalls associated with many people being gathered together (cash register errors, loss of means of payment, online monit­oring of consumption, etc.). Similarly, Organiser may request the applic­ation of a refund fee to be deducted from the amounts to be returned to Parti­cipants following the Event, such refund entailing the imple­ment­ation of signi­ficant human and technical resources. Virtual Accounts and Devices are personal to each Parti­cipant. These tools are intended to enable a Parti­cipant to make purchases from Organiser alone. Virtual Accounts and/or Devices may in no way be used to make transfers between Parti­cipants, in particular transfers of units of value. It is therefore not possible to transfer units of value between the respective Devices of Parti­cipants. Similarly, Parti­cipants may not make transfers to each other via their respective Virtual Accounts, if they have one. Parti­cipants will be informed of any possible cancel­lation of an Event, its rescheduling or any substantial change made by Organiser or by Weezevent, provided Weezevent has previ­ously informed Organiser. In such case, Organiser may decide to refund any amounts that have been paid by Parti­cipants to Weezevent before the Event. Weezevent shall make this refund if and to the extent that Weezevent is still in possession of suffi­cient funds to carry out such refunds, it being borne in mind that Weezevent only ensures the sale of goods and services to Parti­cipants to the extent such sales are fulfilled by Organiser. By using the Weezevent Service, Parti­cipant expressly waives any remedy or recourse against Weezevent in connection with any such refunds. Weezevent shall, however, take all reasonable measures to enable Parti­cipants to obtain a refund from Organiser. For the avoidance of doubt, any decision to cancel, reschedule or change an Event is made by Organiser under its own respons­ib­ility and Organiser may not be substi­tuted by Weezevent in this respect. Under no circum­stances is Weezevent liable to refund any units obtained by a Counter Top-Up. Organiser alone shall determine the alloc­ation of units that remain unused at the end of an Event. Depending on this policy, Parti­cipants may request a refund of such units, donate the remaining balance to Organiser or possibly to a partner charity organ­iz­ation, keep those units for the Organiser’s next event or events, etc. Parti­cipants are invited to directly contact Organiser, via any commu­nic­ation media of Organiser (i.e. Website of the Event, mobile applic­ation of the Event, posting at the Event Venue. etc.) to find out what choice has been made by Organiser, specifically as concerns any possible refund process for the Event they will be attending. Parti­cipants release Weezevent from any and all respons­ib­ility and liability in connection with any possible refund, such refund being optional and not corres­ponding to any legal oblig­ation, the sales being perfected upon the top-up opera­tions and the amounts paid to Weezevent and/or to Organiser not legally quali­fying as a down payment or deposit in respect of a trans­action that can be rescinded by either Party. It is therefore Participant’s respons­ib­ility to only make top-ups for goods and services he/she actually intends to consume at the Event Venue, any payment being deemed final. The decision to refund Parti­cipants at the end of the Event, or not, is made by Organiser alone. As regards refunds, Weezevent will merely apply the policy determined by Organiser. In case of a refund, Parti­cipants who have not used all of the units loaded on their Device at the end of an Event and whose Device shows a balance of at least £0.50 may obtain a refund under the condi­tions set forth below. Organiser’s refund to Parti­cipants is in principle made by Weezevent, acting in the name and on behalf of Organiser, through the Virtual Account. However, Organiser has the possib­ility of requesting that refunds be made at a counter at the Event Venue. To this end, Parti­cipants should go to a counter with their Device. Organiser will refund, under its sole respons­ib­ility, the amount corres­ponding to the units remaining on the Device. The amount of the refund will be debited from the Device and, as applicable, Participant’s Virtual Account. Weezevent can only make refunds to Parti­cipants who have set up a Virtual Account. Parti­cipants who have not set up a Virtual Account are required to set one up to be able to request a refund from Weezevent. Any refund request from a Parti­cipant must reach Weezevent within 7 days after the end of the Event, or within the time limit previ­ously agreed between Organiser and Weezevent and commu­nicated by Organiser to Parti­cipants. To obtain a refund, Parti­cipant should complete his/her bank account details (BBAN/IBAN) or his/her bank payment card number, which must neces­sarily be in the same currency as the currency of the top-ups made by Parti­cipant and in respect of which the account-holding insti­tution is located in the same geographic banking zone (ex: SEPA zone for the Eurozone). Weezevent shall refund Parti­cipants within 30 days following the Event, subject to having suffi­cient funds to carry out the refund, provided the amount of the refund requested by Parti­cipant does not exceed the amount of the Online Top-Up. It should be borne in mind that Weezevent does not carry out refunds using its own funds but only with the funds available to it on the basis of Online Top-Ups, which are intended for remit­tance to Organiser. As applicable and subject to the same reser­vation, the time limit for refunds may be extended at Organiser’s request. Weezevent accord­ingly invites Parti­cipants to contact Organiser to find out more about the time limits for refunds. Provided the time limit laid down by Organiser in which to request a refund has elapsed, any failure to request a refund shall entail a donation by Parti­cipant to Organiser, in respect of which Parti­cipant acknow­ledges being fully informed. The acceptance of this clause is of the essence, without which these Ts & Cs of Use would not have been entered into. Parti­cipant represents, on a fully informed basis, wishing to donate any remaining units on his/her Device after the end of the Event for which Parti­cipant has not requested a refund within the time limit set by Organiser. In case of doubt as to the entity benefi­ciary of the funds or the person requesting a trans­action. It should be borne in mind that the Service cannot be used for the purpose of fraud, scams or money laundering. In case Weezevent refuses to carry out an operation or trans­action on any basis whatsoever, it shall inform Organiser and Parti­cipant by any means within 2 business days from the date of its decision to refuse the operation or trans­action. In the context of imple­ment­ation of the Service, Weezevent is acting as a service provider of Organiser and upon its instruc­tions. Any admin­is­trative or tax formal­ities that may be required and the payment of any associated taxes owed by Organiser. Any condi­tions, warranties or other terms implied by statute or law are excluded to the fullest extent permitted under the applicable law, but nothing limits or excludes the liability of the Weezevents for death or personal injury caused by negli­gence, fraud, fraud­ulent misrep­res­ent­ation or fraud­ulent misstatement. To the extent permitted under applicable law, including Member State domestic legis­lation imple­menting the EU Consumer Rights Direction (Directive 2011/83/EU) as amended replaced or super­seded from time to time , the service provided by Organiser involving a leisure activity to be provided at a defined date or period, Parti­cipants do not benefit from any right of cancel­lation in the context of their use of the Service. Weezevent using all of the technical devices that can currently be reasonably used to ensure the continuity of its Service, its liability cannot be incurred if its server or servers on which the data required for the Service to operate are stored are unavailable for reasons of force majeure, such as but not limited to the failure of the public electricity network, strikes, storms, wars, earth­quakes, failure of the public telecom­mu­nic­a­tions network, loss of internet connectivity due to the public and private operators relied on by Weezevent. Weezevent’s oblig­a­tions will be suspended for the duration of the event of force majeure and such suspension will in no way be a source of liability for nonper­formance of the oblig­ation in question, nor lead to the payment of damages or penalties for delay. This clause is of the essence, being a material condition without which Weezevent would not have consented to contract. The Parties agree to assume their oblig­a­tions even if the contractual balance is upset due to circum­stances that were not foreseeable upon the conclusion hereof, even if the performance of such oblig­a­tions entails hardship, and agree to bear any economic and financial consequences. The Parties agree that in case of breach by a Party of its oblig­a­tions, the non-defaulting Party may not seek specific performance. In case of breach by a Party of its oblig­a­tions, the non-defaulting Party may not perform or have the oblig­ation performed by a third party, at the expense of the defaulting Party. The Party to whom the oblig­ation is owed may, however, seek a court order against the defaulting Party to advance the amounts necessary for such performance. The non-defaulting Party may, in case the other Party fails to perform any one of its oblig­a­tions, seek the cancel­lation of the contract under the condi­tions set forth in the Section “Cancel­lation due to breach by a Party”. Lastly, the Parties waive any right to seek a reduction in the price in case of partial failure of performance. Parti­cipant considers being fully conversant with the risks inherent in the use of telecom­mu­nic­a­tions networks, which remain even if Weezevent follows all security standards of a nature to ensure a high level of security and reliab­ility (https, ssl certi­ficate, etc.). The technical capacity of the networks may be saturated in certain places and at certain times of the day (poor telephone connection, insuf­fi­cient modem speed, insuf­fi­cient bandwidth, node satur­ation, etc.). In view of the foregoing and of Parti­cipant’ full famili­arity with the Weezevent Service, Parti­cipant waives any right to assert Weezevent’s liability in connection with any of the above circum­stances or events. The Weezevent Service is subject to inter­rup­tions, scheduled or unscheduled, that are necessary for its proper operation, including for maintenance, security or storage management purposes. In case of a scheduled service inter­ruption, Weezevent agrees to take all reasonable measures to schedule such maintenance outside the normal operating hours of the Service and hours of Service avail­ab­ility to Parti­cipants and to Organiser (i.e. generally at night, after an Event), so as to minimize the impact on Service avail­ab­ility. Weezevent disclaims any and all liability in respect of any unscheduled service inter­ruption that does not arise out of any negli­gence on the part of Weezevent. In case of the occur­rence of such an event of force majeure, Weezevent agrees to take all reasonable measures to restore the service as soon as possible. 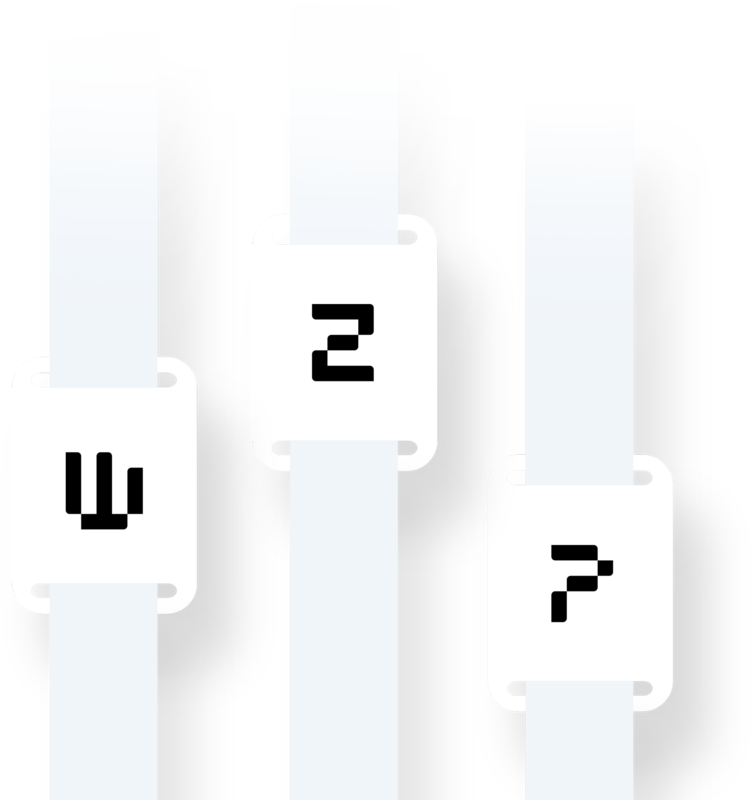 Parti­cipant agrees to inform Weezevent, as soon as it comes to his/her knowledge, of any technical malfunction affecting the Weezevent Service. Any personal data provided by Parti­cipants is intended solely to permit the use of the Service. Such inform­ation enables Weezevent to contact Parti­cipants in relation to refund requests or in case of cancel­lation to or change in the date, time or location of an Event for which Parti­cipants have registered. Parti­cipants also have the right to object to the use of their contact details whenever they receive an offer from Weezevent. By valid­ating these T’s & C’s of Use, Parti­cipants consent to Weezevent trans­ferring their personal data to Organiser. It should be borne in mind that Organiser instructs Weezevent regarding the data it wishes to obtain. Any use of the Service therefore entails acknow­ledgement of the transfer of personal data to Organiser. In accordance with applicable legis­lation, this data transfer is required for proper operation of the Service. Such data may be shared with any possible Weezevent partners tasked with the fulfillment, processing, management and proper operation of the Service. In this respect, Weezevent disclaims any and all liability for any use that may be made of such data. The content of the Weezevent Website is the property of Weezevent and/or of its partners and is protected under the laws of France and inter­na­tional intel­lectual property legis­lation. Any total or partial repro­duction of such content is strictly prohibited and may constitute the offense of infringement. In addition, WEEZEVENT is and shall remain the owner of all intel­lectual property rights in and to any photo­graphs, present­a­tions, studies, designs, models, proto­types, etc., produced in view of the provision of the Service. Parti­cipant is therefore prohibited from making any repro­duction or use of such studies, designs, models, proto­types, etc., without the prior express written consent of Weezevent, which may make it condi­tional on the payment of financial compens­ation. Use of the Service by Parti­cipant contrary to these Ts & Cs of Use (fraud, money laundering, etc.). It is expressly under­stood that such cancel­lation due to breach by a Party of its oblig­a­tions shall be by right, formal notice being deemed to have been given upon and by virtue of the occur­rence of the breach, without any notice to cure or any other formality being required. The Parties expressly agree that the debtor of a payment oblig­ation hereunder shall be deemed to have been given formal notice upon and by virtue of the payment becoming due and payable. Where the acts of performance exchanged between the Parties between the date of conclusion and the date of termin­ation of their contract were useful from time to time during the recip­rocal performance of the contract, there shall be no resti­tution in respect of the period before the last act of performance which was not reflected in something received in return. Sofaras permitted under applicable laws, these Ts & Cs of Use do not give rise to any third party rights. The Party harmed shall be entitled to seek damages at court under all circum­stances. These T’s & C’s of Use and all trans­ac­tions contem­plated or arising hereunder are governed by and shall be construed in accordance with the laws of France and the courts of Paris shall have exclusive juris­diction. These T’s & C’s of Use have been drawn up in the English language. In case they are trans­lated into one or more foreign languages, the English version shall be controlling in case of dispute. Any disputes arising out of or in connection with the trans­ac­tions concluded in applic­ation of these T’s & C’s of Use, in relation to their validity, inter­pret­ation, performance, termin­ation or consequences that cannot be amicably resolved between Weezevent and Parti­cipant shall be submitted to the courts of competent juris­diction pursuant to the ordinary rules of law. Parti­cipant is informed of his/her right at all times to resort to conven­tional mediation or via existing sector-wide mediation bodies listed on Weezevent’s Website or to any altern­ative dispute resol­ution method (such as concili­ation) in the event of disagreement. Parti­cipant represents that it fully accepts and adheres to these T’s & C’s of Use and waives any right to assert any contra­dictory document, no such document being enforceable against Weezevent.